The NSW Premier has held firm on her opposition to pill testing and it's landed her in some heated debates with those advocating for the potentially life saving strategy. Appearing on Nova's Fitzy and Wippa this morning, the radio hosts wasted no time wading into the pill testing debate, asking the Premier if her opposition stemmed from naivety. "You can't be that naive though to know that unfortunately, and I know it's against the law, that this is just going to happen at music festivals," Fitzy kicked off. "It doesn't matter how much police presence you have there, these kids will still get it in somehow. I know that's bad to say but we've got to be realistic in this sense." "The sad thing is what's killing young people is the ecstasy itself," Ms Berejiklian said. 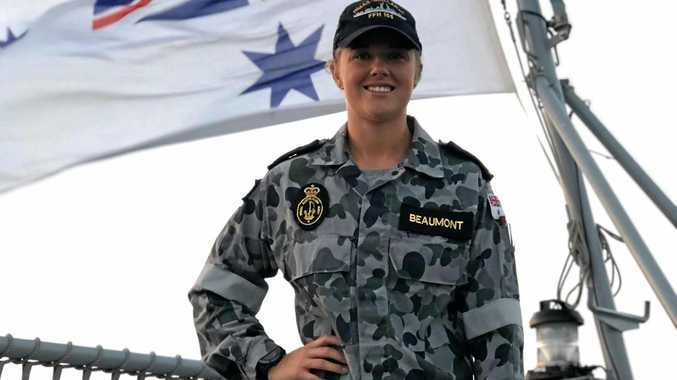 "Sometimes nothing is mixed up with it so the pill testing might say the pill has got pure ecstasy in it, someone takes it and it could still kill them. "What I'm saying is do the safe thing and don't take it because pill testing doesn't necessarily give you the green light, even if the pill doesn't have all these other caustic substances in there right and it's pure ecstasy that can still kill you and everybody's body is different." 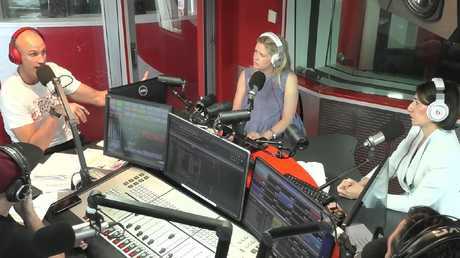 The Premier's discussion with Fitzy heated up when the radio host begged the government to "just try it". "Can I just suggest though, you can still have your police presence there, why can't you just introduce it? What have you got to lose? There's nothing to lose," Fitzy said. "Because it's not shown to make things any safer," Ms Berejiklian responded. "Try it, try it," Fitzy said, cutting the Premier off. "It's not working what you're doing now." "But if you say try it and it gives the green light, at the moment a few kids might be saying 'gee that scares me a bit, all these people are dying, I'm going to stay off it.' If we try it and all these people take drugs that ordinarily wouldn't, then that can have an awful impact as well," Ms Berejiklian said. The Premier told Nova she was "pleased the state coroner was doing an investigation" into the five tragedies "because early toxicology reports tell us unfortunately the vast majority of these deaths are from the ecstasy and not from anything else". "These drugs kill people, they're not safe things to have in your body and I'm not going to pretend they are and I'm not going to pretend I'm cool, I'm not going to say it's OK because I don't think it's OK. I'm being honest. This kills people," she told the radio show. 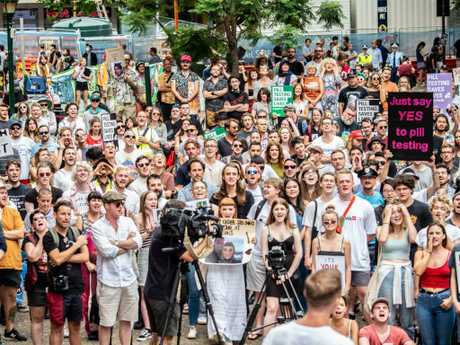 More than 500 people attended the Pill Testing Saves Lives rally at Sydney's Town Hall on Saturday, calling on the Premier to change her mind. The March for Pill Testing held outside Town Hall at the weekend. Picture: Monique Harmer. It was a sentiment supported by Fitzy this morning, who again implored the Premier she had "nothing to lose". 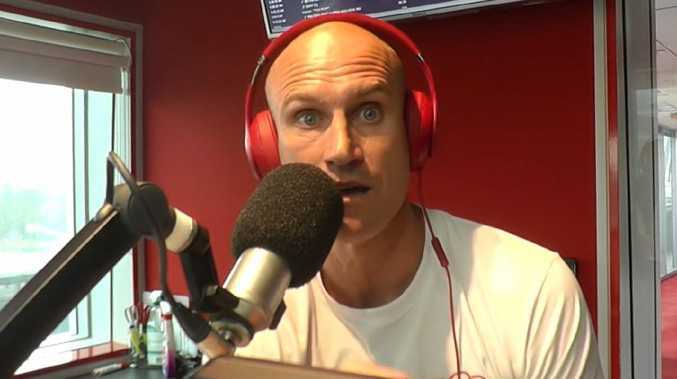 "You know what the kids do though, they see the cops, they see the dogs and then they instantly ingest them straight away which is stupid in itself but they think, 'I'm going to get busted here'," Fitzy said. "If you do give them the option where they can go and check it out... there's nothing to lose with this."